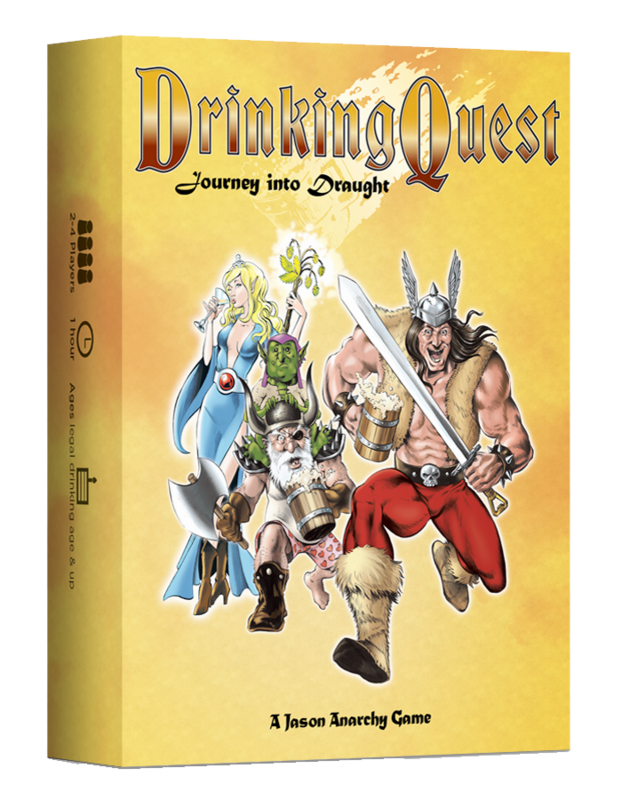 Drinking Quest: Journey into Draught is the fourth entry in the Drinking Quest series from Jason Anarchy Games. There isn’t really a running plot between the games and this is designed to be a self-contained jumping on point for new players, as well as fun for players of the older games. Mechanically, this is a simple roleplaying game where the GM is a deck of cards. Each player takes a Character card, that character’s matching Signature Drink card, and a blank character sheet. Just like any good RPG, you’ll be recording the ups and downs of your stats on the character sheet, with your starting information on the Character Card you chose. At the end of the game, the winner is the player with the most XP (eXperience Points) gained from defeating the challenges they encounter. On a players turn, they flip the next card in the quest and resolve it. If it’s a Monster, you fight to the death. If you win, you live and get the XP and Coins for that monster. If you lose, you get nothing and die. Fear not, however, for if you die the gods may yet still smile upon you. Should you dedicate your drink to them, and chug it, you will be reborn in time for your next turn. If you die again in the same quest, the gods only ask for three simple swigs of your drink to grant you another chance to entertain them. (Seriously, no one wants you to chug another drink that fast.) If the card flipped is an Event card, that player will need to make a save roll based on one of their listed character stats. If they roll successfully good things and hilarity, ensue. 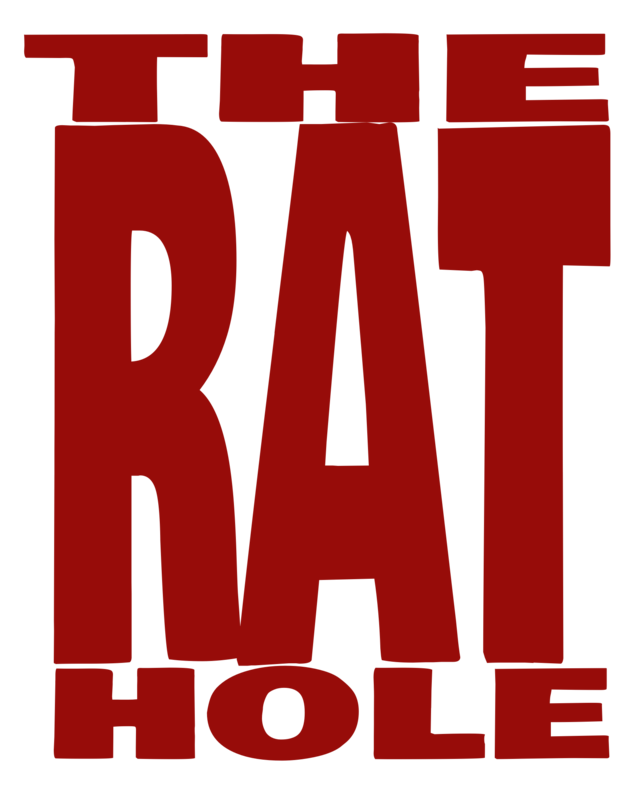 If they fail, bad things happen, along with even more hilarity. The main quests are entitled Meadheim, Tower of the Cursed Wizards, Walkengaard, and Lords of Whiskeydeep. Each quest contains 12 cards full of snarky goodness. If you play other RPG games, you may be familiar with the floating monster called a Beholder, well he has a cousin called the Beer Holder. There’s a Beer Baron Bear, say that five times fast in the third quest. In a later quest, you even need to battle some Keg stealing Kobolds. The second bonus quest, Morning Tea, plays the same way. The main difference is that you are encouraged to grab a real-life glass of water, or cold tea, as your beverage of choice. Chugging hot beverages is never a good life choice, don’t do that. While all the artwork in the game is good, it should be noted that the art for this quest was done using actual tea stains, which is really cool. I would also like to give a shout out to the Beholder’s other cousin, the Tea Holder. The game includes a d4, d6, and d8 that players can share, but really who doesn’t have their own dice (Do those people even exist? ), and a handful of other goodies to spice up the game a bit. Drinking Quest is a lighthearted game, that pokes fun at both RPGs and Drinking Game genres. I personally find it to be a more entertaining game with adult beverages, but they are in no way required. Drinking water is good and healthy. If you are of legal age and choose to drink alcohol during your games (any games, not just this one), please do so responsibly and stay safe. If you enjoy playing Drinking Quest, as I did, the next installment of the series funded on Kickstarter in four hours and is available for preorder now. Liquor Before Honor even includes four new Characters (and their Signature Drinks), that are also playable in Journey into Draught. You can find Jason Anarchy Games online at www.DrinkingQuest.com or on their facebook page, facebook.com/DrinkingQuest. If you are that person who doesn’t get the Kega Man reference, GO HERE to check out the historic hype.